I’ve admitted it before: I have a food storage problem. I have too many places to store food and I love to fill those places to the max, sometimes to overflowing. And I’m not being figurative here. Some of you may remember my efforts two years ago, when I made a resolution to stop stocking it up, and start using it up. This has made a partial reform on my food storage habits – I can at least boast that most of the food I have stored over the winter comes from only the previous year’s growing season (and not from several years, as in the past). But some changes in our family arrangements late last year has left me with more over-stock right now than I had anticipated. So, I’m on a reprisal of Operation Use it Up this month. An intense, month-long Eating-From-The-Larder experiment. Inspired by this post from Erica at Northwest Edible Life, I am endeavoring to use up as much stuff from my freezer and pantry as I can before the new growing season gets me hooked into the next round of storing the season’s bounty. Erica has made the impressive resolution to not buy a single food item, from either store or eatery, for the entire month of April. I have not gotten quite that carried away. Living without fresh vegetables or WildFire bread for a month is beyond my current resolution capacity, but I can make sure that the bulk of our calories come from my existing food stores. I have made every effort to resist the easy run to the store, and instead to adjust the menu or to make something from scratch. 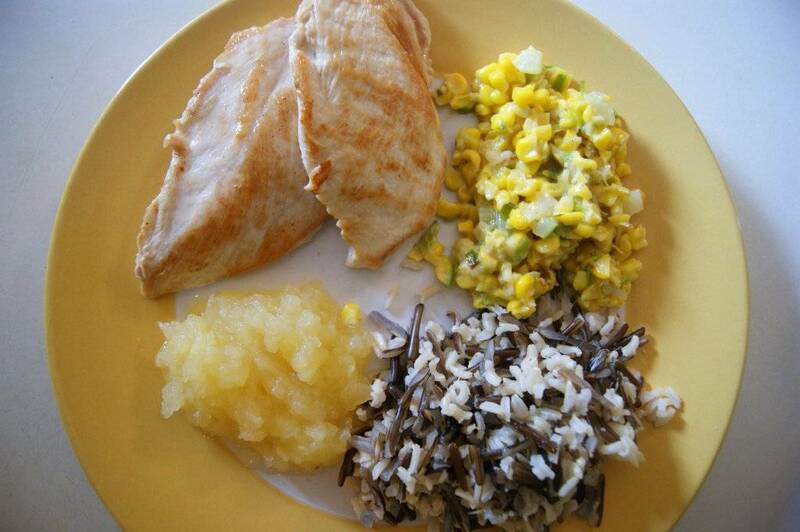 Using it up: frozen chicken, wild rice, frozen applesauce and frozen corn. This has been easier than I thought it would be, and makes me ashamed to realize how frequently I pad my meals with extras from the store when I have such a pantry of plenty right at home. A resolution like this has forced me to use my imagination a little more in meal planning, and to let go of the idea that I *must* have a certain specialty ingredient to make a certain recipe work. Of course, I knew this already, and I have been pretty good about using my freezer stores the last couple of years, but I see now where I can run a tighter ship. So, what have we been eating? Mostly, the usual: meats and veggies for dinner, oatmeal and eggs for breakfast. But my frozen corn and applesauce have made it into the dinner menu frequently, the frozen berries have been making a steady appearance at breakfast, homemade almond milk production has stepped up, and we’ve been eating more nuts and dried fruit and fewer granola bars. 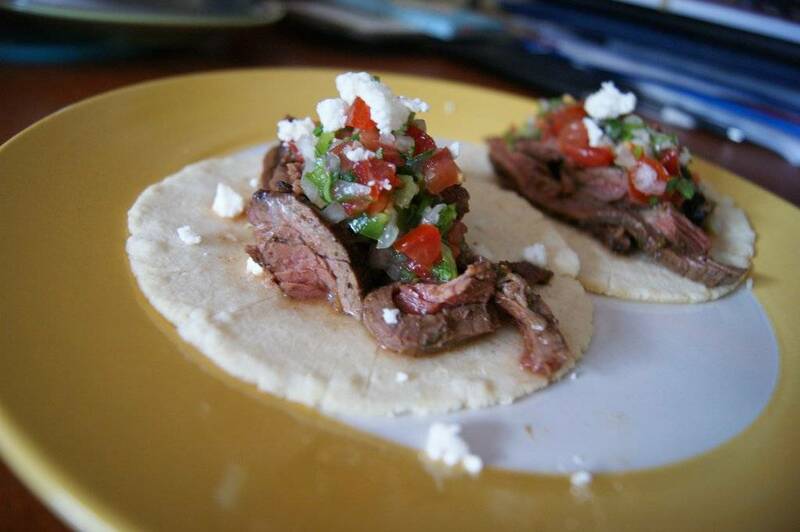 I’ve been using the weirder cuts of meat I have stored away: I ground a cross-rib roast to make meatballs (using some frozen breadcrumbs up in the process), and I made my skirt steak into delicious tacos. I even made rice pudding twice. The kids are very impressed. It feels good: a kind of spring clean for locavores. I think I’ll make this a regular practice. Yes, I’ll continue to regularly use foods from my freezer through the year (successfully done for the last two years! YES! ), but I’ll add a month-long intensive larder use-up every March or April to really clean things out before the opening of the farmer’s markets. Loose-grained, flavourful meat is ramped up with an all-day or overnight dry spiced brine and grilled to perfection. This can be made with flank steak as well. Delicious for either tacos, fajitas, or used the next day in quesadillas. FOR THE SPICE PASTE: Pulse garlic, scallions, chile, spices, salt and sugar in food processor or mini-chopper until finely chopped, scraping down sides as necessary. Add oil and process until mixture is smooth and resembles pesto, scraping down sides of workbowl as necessary. 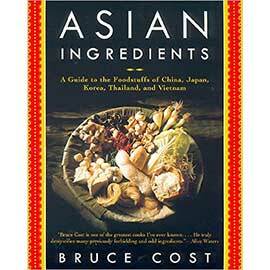 Use more oil if needed to make the mixture puree better. Transfer 1 tablespoons of the spice paste to a medium bowl, whisk in lime juice, cover and refrigerate for the end of cooking. The rest of the spice paste will go on the steak. FOR THE STEAK: Trim the steak of excess fat. If using skirt steak, cut each in half or thirds (against the grain), to make smaller, squarer pieces. If using, flank steak, cut it lengthwise (with the grain) into 4 equal pieces. Use a dinner fork or skewer to poke each piece of steak 10 to 12 times on each side. Place in large baking dish; rub all sides of steak pieces evenly with remaining the spice paste (the spice paste that does not have lime juice in it). Cover with plastic wrap and refrigerate at least 1 hour, preferably up to 8 hours or overnight. TO COOK AND FINISH THE FILLING: Flank steak will take longer to cook, but both types of steak should be cooked no more than medium-rare (130 degrees, which allows for a carry-over temperature of 135). Light a gas or charcoal grill (barbecue) and heat with the lid closed until heated to at least 450 degrees. Scrape paste off steak. Place steak on hottest part of the grill and cook until nicely charred, about 1 -1/2 to 2 minutes for skirt steak, 3 minutes for flank steak. Flip steak and grill until second side is well browned, 2 to 3 minutes. Keep a sharp eye on the skirt steak! Some of the thinnest pieces will be ready sooner and can be transfered to a plate before the thicker pieces. If using flank steak, use tongs to stand each piece on a cut side and grill, turning as necessary, until all cut sides are well browned, 2 to 6 minutes more. 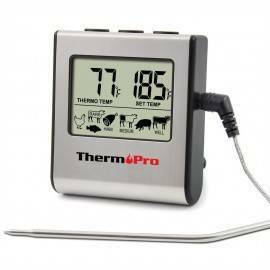 With either type of steak, you can check that the internal temperature is correct by using an accurate instant-reading thermometer. The internal temperature should register 125 to 130 degrees (rare to medium rare). Transfer steak to a platter and let rest at least 8 minutes. Transfer the steak to a clean cutting board. 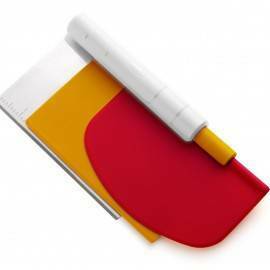 Using sharp chef’s knife or carving knife, slice steak pieces across the grain into thin slices (1/8-inch-thick or less). 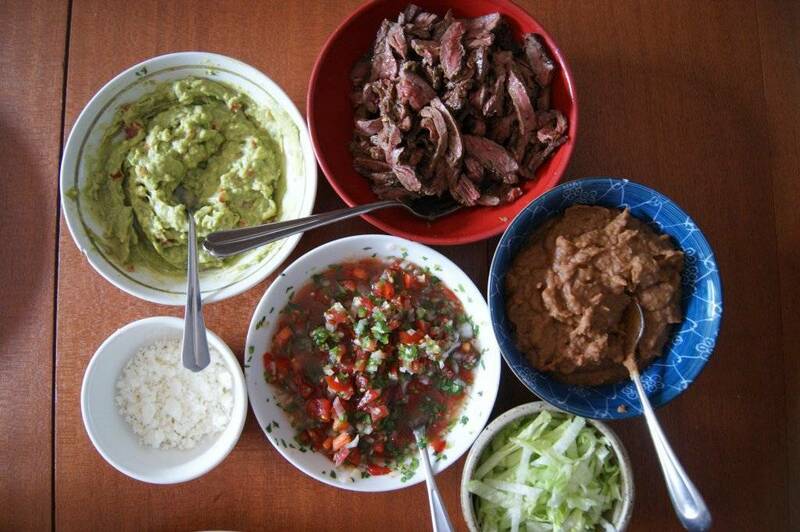 Transfer sliced steak and any accumulated jucies to bowl with spice paste-lime juice mixture and toss to coat. Season with salt, if necessary. 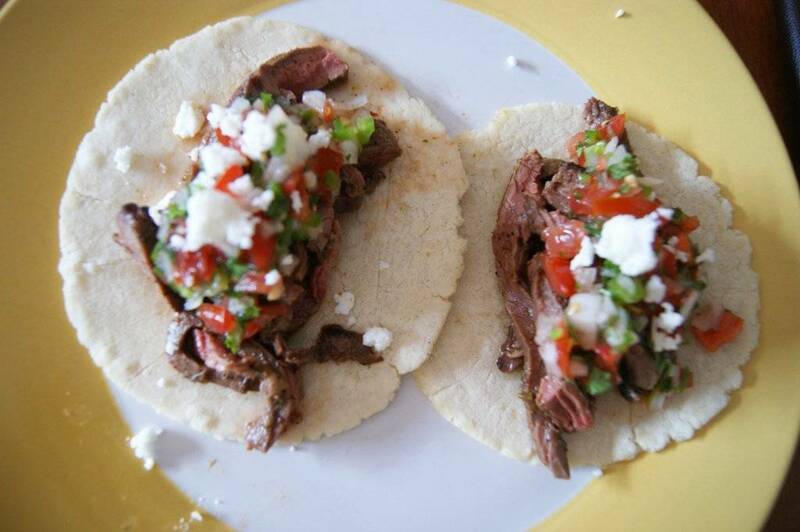 Serve filling immediately with warm tortillas, sprinkling each flank steak taco with chopped onion, avocado, chopped tomato, salsa, or crumbled cheese. wow! you inspire me. i am so glad your use it up plan has been working so well. i am in a similar place. as a locavore, i have been stocking up my freezer with rhubarb for the last while, and now that rhubarb season is ending and strawberry season is beginning, i will be stocking up on strawberries soon enough. i am still learning how much of each food i need to tide me over until the next time it comes around. it is a fascinating process, eating local food. i am sad that asparagus season is already done, but it’s such a pleasure as each food comes into season to revel in it and truly appreciate it.